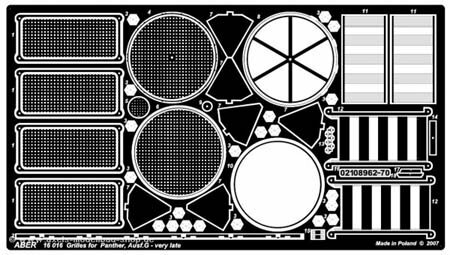 Same Set as for the Academy 1:25 Panther G late Vesion, now in 1:16 Scale for the Tamiya Panther G. Includes Grilles and much more small details e.g. the No. on the crew compartment heater.